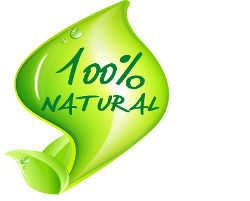 The All Natural Cleaning Company is the first company to use 100% natural organic products like lemons, baking soda, olive oil, vinegar and other toxin free substances to clean your home or office. The toxins and chemicals you are using today in the cleaning of your home and office are killing you and your loved ones slowly. These poisonous products short term effect leads to fatigue, headache, asthma and allergy. Their long term health effects to name a few, ADHD, cancer, hormonal disruption, Parkinson, Brain damage. Can you afford to continue using these products? Let us show you a healthy alternative. We formed the All Natural Cleaning Company to make a difference in people's lives by showing them that there is an alternative to using these deadly chemicals. We do not have to poison our environment our kids and ourselves to get a clean house or office. Once you have us clean your home or office, we will educate you on natural cleaning and show you how to get rid of all these poisonous products from your home or office with the hope next time you clean you will do it the natural way. Our natural products are as effective as the chemically based ones; they smell better and clean better. Our product formulas are homemade and specifically tailored to each cleaning task. 99% of the products we use are ingestible. Pour solution on a clean sponge and wipe. It is that simple. Call us today (505)399-9193. That will be the healthiest thing you will do today. As for the "Green" cleaning products; 99% of these products contain something toxic in them. When we use lemon and salt to clean we do not have to second guess ourselves about the chemicals we left behind.